Grinding your teeth might seem like a non-threatening habit, but it can cause quite a bit of strife. While clenching and grinding your teeth in your sleep every once in a while is hardly a dire situation, it can certainly wear you down quickly. If it becomes an actual habit, it can harm your teeth and cause numerous oral health issues that, as we’re well aware of, cause health issues throughout your entire system. From headaches to your jaw hurting to a variety of more serious consequences, it’s just not worth it to grind your teeth. That being said, it’s a hard habit to break, which is what we’re here to help with. A mouthguard at night isn’t the fix-all solution for everyone, so we’ve compiled a few anti-grinding tips and tricks that might help you avoid grinding your teeth during the night and potentially causing harm to your own oral health. Before you can find a solution to any problem, you’ll have to suss out the cause first. There are a wide variety of things that cause bruxism at night. In general, though, the main contributor is stress. For some, it’s just how they take the edge off the day: habitually grinding their teeth into nubs in the middle of the night. Others find theirs is triggered by a medical condition and sometimes even crooked or missing teeth. However, it’s hard to actually be able to self-diagnose bruxism if you don’t have a partner who is being woken up in the middle of the night by the sounds of your furious grinding. You may have to derive that it’s an issue from other related symptoms, like a sore jaw, constant headache or abnormalities in your teeth and jaw. 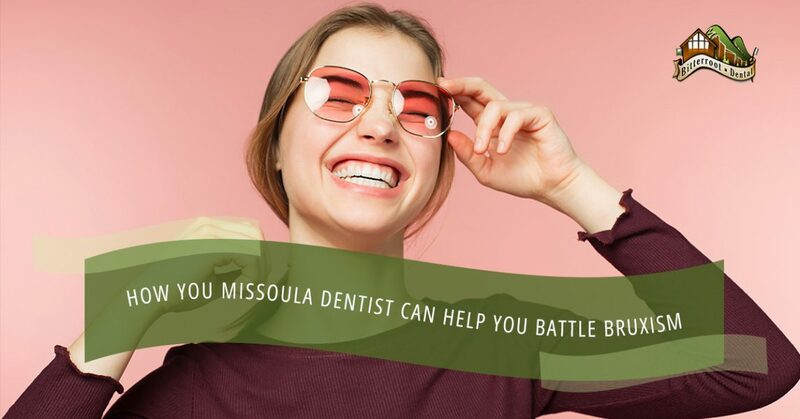 Your Missoula dentist knows all the signs to look for during your regular check-up though, and they’ll be able to see if you’re on your way to experiencing symptoms of serious bruxism, like broken teeth and worn down implants, crowns, and bridges. Some people even find that bruxism can change the shape of your face because of the way you’re grinding on your jaw. Since bruxism is mainly caused by stress, it’s best to take a few steps to combat that right before you go to bed. We find that de-stressing before your bedtime routine, or as apart of your bedtime routine, lessens your need to release that tension by putting pressure on your teeth. Start an exercise routine. One of the best stress relievers is exercise. It works in a similar way that grinding your teeth does in that it’s letting your body put your feelings of stress into a physical form and releasing that feeling through that action. Try something low impact so that you don’t harm your joints, or find yourself straining and clenching your teeth anyway. Additionally, you should avoid large doses of alcohol and caffeine as they both have large sugar contents and can increase stress symptoms when you’re trying to sleep. Right before bed, take some time to actually de-stress yourself. Get some lavender and eucalyptus bath salts and soaps and try taking a hot bath before bed. Pop open a book while you’re in there and let yourself chill out and calm down. You could also invest in a little time massaging your shoulders (where most people hold the tension in their body) as well as your neck. Don’t let your teeth grinding habit literally wear you down. 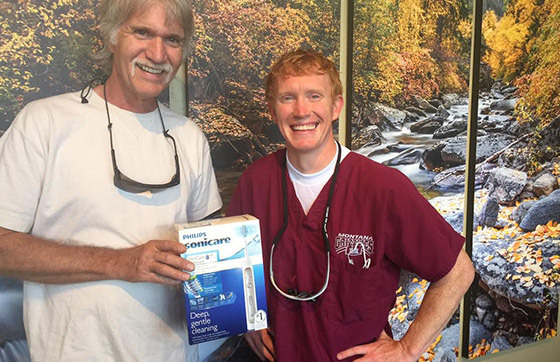 Visit your dentist in Missoula at Bitterroot Dental to get the mouth guard you need to help you break this jaw-breaking habit. We’re here to help however we can, and we’re eager to hear from you. Reach out to make an appointment now.